Look Who's Ready to Pop! Cori wanted to give her brother and sister-in-law a family centered baby shower in her home. The color scheme was green, blue, and yellow. Ready to Pop was the theme. 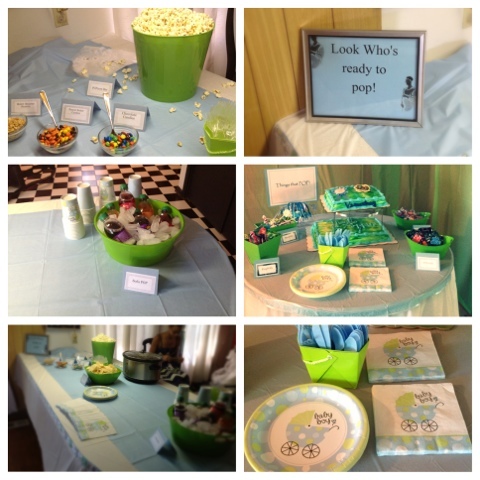 Popcorn, Pop Rocks, Blow Pops, and Ring Pops was placed throughout the house to incorporate the theme. "I would like to thank Myiesha for all her hard work on such a small budget! My brother and sister-in-law's baby shower received great reviews! Everyone loved the theme too! Thank you so much."